Yay its reveal day again at Lets scrap..... I loved this sketch so much I made two versions - one for my new nephew to be, and I liked it so much I made another baby album for my middle child. This is my first version of the sketch - which was also my DT reveal! I used graphic 45s Baby to bride collection along with Kaisercrafts bundle of joy collectibles. I am also linking this page up to Scrap it with a song for the month. This months song is "photograph" by Nickelback. Although the song is about photographs so pretty much any layout would probably fit, these photos really resonate with the song lyrics - (look at these photographs every time I do it makes me laugh/ cry, time to say goodbye.) These photos were from my daughters birth so it was definately a happy time, however this was also the final photo I have of their father, as he died five weeks later. Which is why it resonates with looking at photos making you cry, as well as saying goodbye.Also fitting with the song they are fairly old photos (almost 10 years) and it shows where my daughter initially grew up. I am also linking up over at Artastic challenge blog. the challenge this month uses the inspiration picture shown blow, and the requirement is to use a quote on your work. I added a quote rubon to the journalling tag at the top in this layout. My second version of the sketch is below, I am linking this one up over at White with one. This months colour is hemlock, which happened to be perfect for a baby page using Kaisercrafts "bundle of joy" paper range. Cant wait for my sister to fill in this page, I think she is going to love it! So sweet, love them both! What a beautiful spreads you made, and a special story behind the photographs, it really hit me! Thank you for playing with us at SIWAS! Lovely pages and what a memory to Scrap! Thanks for entering our march challenge at ARTastic! You've created two super layouts from this sketch. A beautiful quote on the baby girl page and such a special memory to keep. Thanks for sharing with us at ARTastic. I love the layouts that you created from this weeks sketch they are both lovely and the photos on the first one are very special. Lovely stuff. Beautiful pages of sweet memories. Thank you for sharing with us on ARTastic. 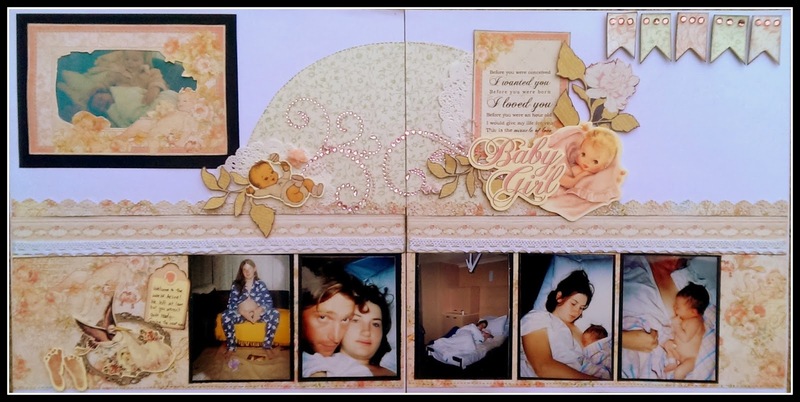 great layouts...such special photos and great embellishments!!! Thanks for playing with us at Scrap it With a Song: I loved reading your story behind these photographs. What a great double! Thanks for playing along with us at WW1. 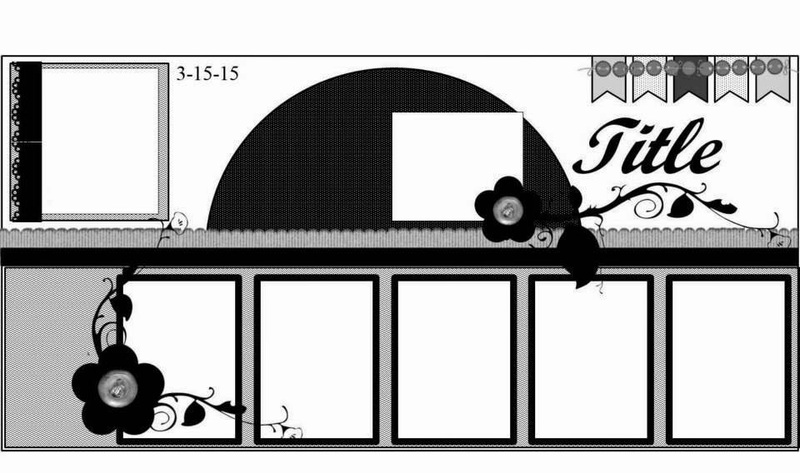 2 gorgeous double-page layouts! Thank you for playing along with us at White with 1. Great and sweet Lo's! Thanks for playing with SIWAS! Awww such a sweet layout! Hugs, dear! Very sweet double lay out. Thank you for sharing with us at ARTastic. 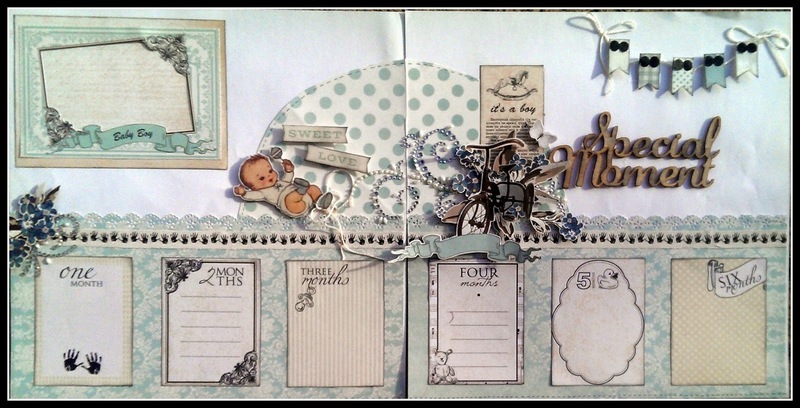 You have been busy, Love the double baby layout.. thanks for joining in with White With One this month.. Both sketches are so gorgeous. I love the vintage feel of both papers. Lovely pictures of your daughters birth and so sorry for the loss of her father so soon after. Makes this layout very very special! You have scrapped special memories very well. Love the soft colours you have used. Thanks for joining with us at ARTastic. I love the colors!!! the story behind the photos is so lovely!!! thank you for playing with us at scrap it with a song !! !